Meet 18 year old Grace Rackson and her beautiful baby girl! 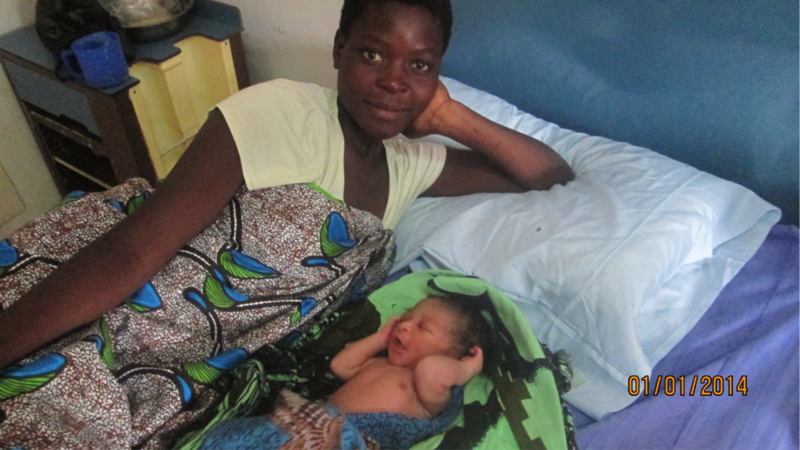 She was the first baby born in 2014 at Comfort Clinics – our New Year’s Baby! She was born at 1:00 am on January 1st and weighed 2.8 kg. Congratulations Grace! We wish you and your baby all of the best! Some parting words of wisdom from Ralph Waldo Emerson for this tiny new life… “Do not go where the path may lead; instead go where there is no path and leave a trail”. This entry was posted in News from Malawi and tagged Comfort Clinics, Jill Claus. Bookmark the permalink.